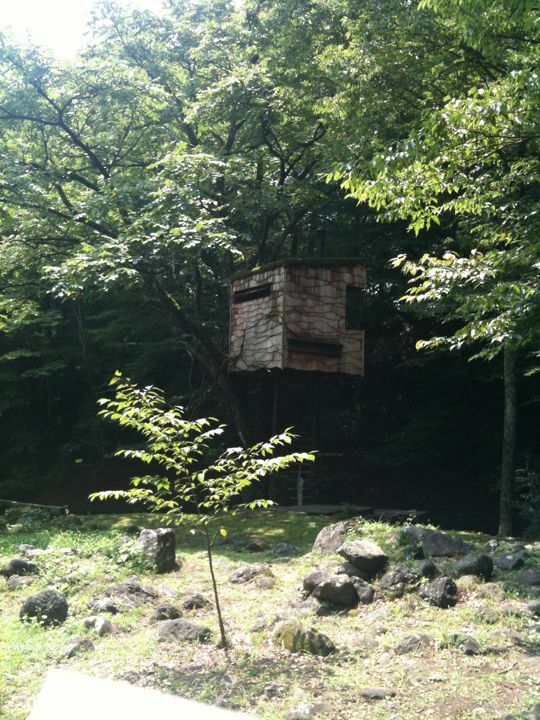 I visited a treehouse, which is built on a garden of Niki Club in Nasu, Japan. 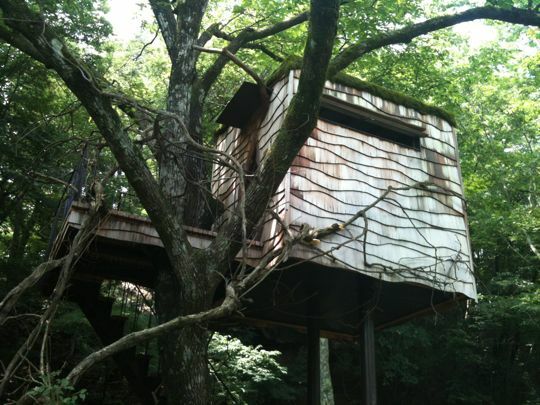 The treehouse is relying on the structure of a tree, but carefully avoiding to damage the tree. In the room there is a little wood stove, a sofa and a large window for you to look down a little stream beside the tree. Nasu was originally opened by Europeans who wanted to escape hot Tokyo during the summer. Now the area has the Hot Spot problem since the Fukushima nuclear power plant was damages by Tsunami in 2011 – somehow, the wind delivers high concentration of radioactive contaminant to the area. I think it is urgent to raise awareness for changing energy policy of Japanese government. It is so obvious that they cannot continue to build and run fragile nuclear power plants on shaken island and destroy their indigenous culture attached to local lives.